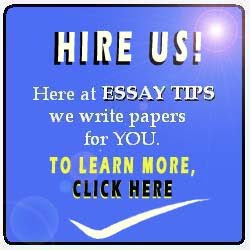 Rogerian Argument Essay Writing Tips. Convincing both the opposition and the undecided ones can be a difficult task. You need to be prepared with your arguments and supporting reasons all the way. This is at the core of the Rogerian style of argumentation. Students are sometimes required to use this writing technique in order to present their claim. However, it will not be easy. Thankfully, we will be discussing some Rogerian argument essay writing tips in this article. 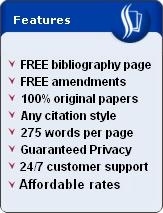 Use our guide so that you can ace your paper. Before we proceed, I'm assuming that you already know how to write a Rogerian argument essay, or that you understand what a Rogerian argument is. In case not, go ahead and read our articles in those links, them return here. Having said that, our first writing tip for Rogerian argument essays is to use neutral language. What this means is to refrain from being aggressive. Do not taunt the opposing side by using invectives or harsh words. This will discourage your reader from accepting your claim because it gives them the impression that you are a bully or that you are not really confident. Another Rogerian argument essay writing tip is to explain the position of the opposing side thoroughly. Do not simply state what the opposition is saying. Take it a step further by explaining what your opponents are attempting to convey. In other words, put yourself in their shoes. In doing so, you will give your audience the feeling that you are objective, and that you fully understand both sides of the issue. This gives your opinion more weight because the assumption is that, knowing every possible angle, you have arrived at your claim after a rigorous and comprehensive assessment of the situation. A third writing tip for your Rogerian argument essay is to ease your readers into accepting your claim. Do not rush things. Slowly build your case. Do this by beginning with the premises to your thesis statement. Include the possible benefits of accepting your claim, or the potential harms of rejecting it. Mention statistics whenever necessary. All the while, use a neutral tone in your language in order to maintain rapport with your readers. And then, end it with a statement of your overall position. Lastly, acknowledge some of the shortcomings of your claim. Doing so will spare your paper of sounding too arrogant. You do not want that in your Rogerian argument essay. Rather, you will want your readers to think that your essay is as human as it gets. Your claim may not be perfect, but at least it is closest to reality. Don't forget to contact us if you have more questions. Shoot us an email. Or check the links above in the header of our website for more info. Good luck.